I was so delighted to be contact several weeks ago by the equally sweet and talented Grey Dove, of the blog From Goats to Soaps. A wonderful blog that chronicles the adventures of two friends, Grey Dove and Isabelle (along with Isabelle’s family), as they raise some of the cutest goats, alpacas, and llamas I have ever seen, along with creating very high quality bath and beauty products sold at Les Belles Bouclettes. 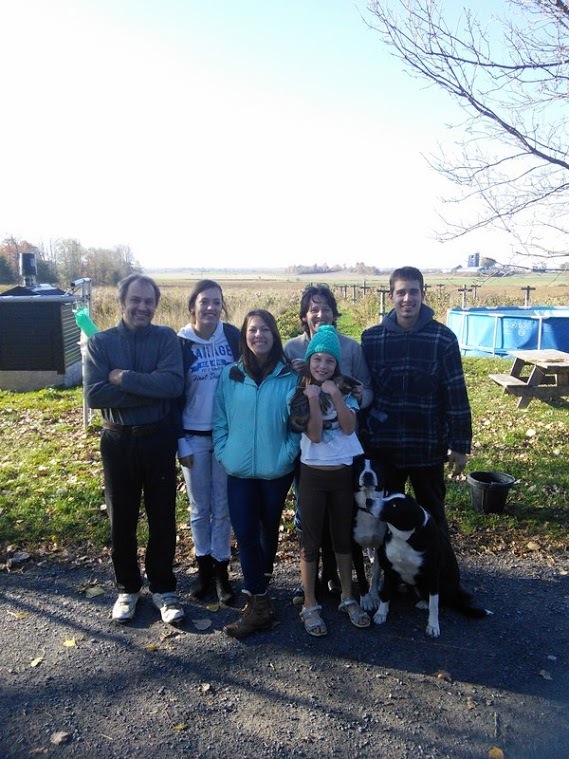 Located in the idyllic landscape of eastern Ontario, Ferme Bonne Mine (“looks good/ healthy”), is the passion of Isabelle, her husband Jacques, and her four children, Dominque, Denis, Fanny, and Sophie, who moved from France in 2006. 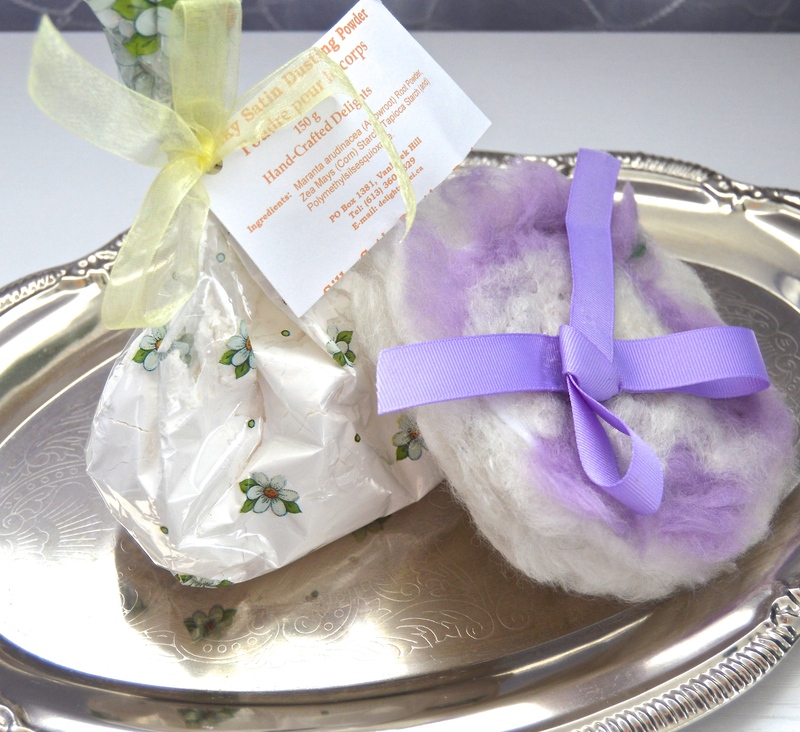 In addition to goat milk beauty products, Isabelle and Grey Dove also offer a wide array of rovings and yarn. When Grey Dove (her preferred creative name) offered to send me a collection of their handmade products, I was very excited, as I am a firm believer in using natural products whenever possible! 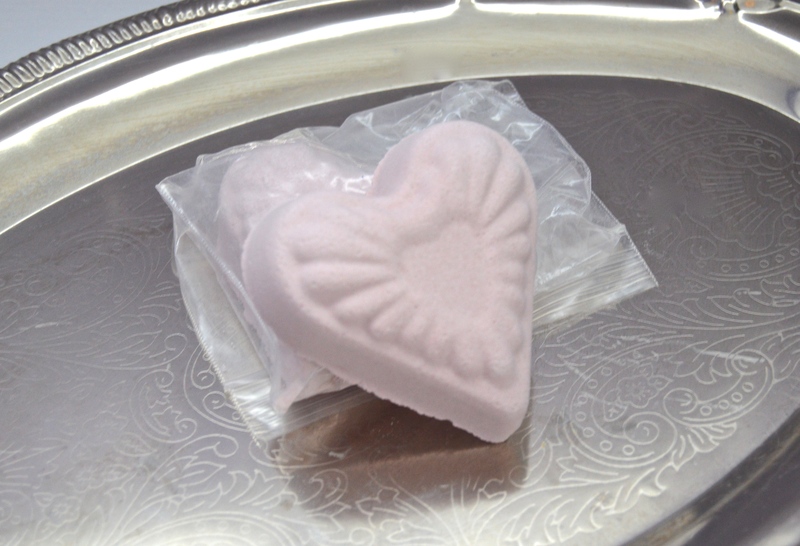 Beautiful to look at and delightfully scented, these soaps are extremely moisturizing. I also loved how easily they lathered and emitted their delicate aroma. I highly recommend the lavender! This puff is so luxurious and fluffy and unique! Grey Dove created this in purple, which was so exciting as it is one of my favorite colors. I found that dusting myself with the powder after a shower was glorious as it soften my skin and gave a wonderful scent. 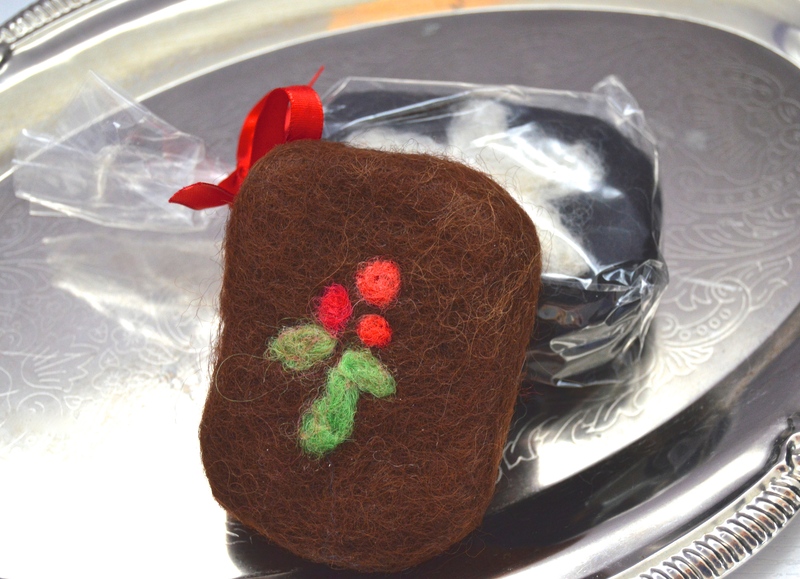 I can not say enough about these felted soaps! They are hands down the best! I love how you not only have a gentle scrub on your hands, but the scent of these (my favorite was the oatmeal) lasted for hours and gave a wonderful aroma to the whole room. I highly recommend these as they are great by both the kitchen and bathroom sinks. They are great for kids too, since they do not slip around when you use them. Grey Dove offers a tutorial on how she created these little beauties. 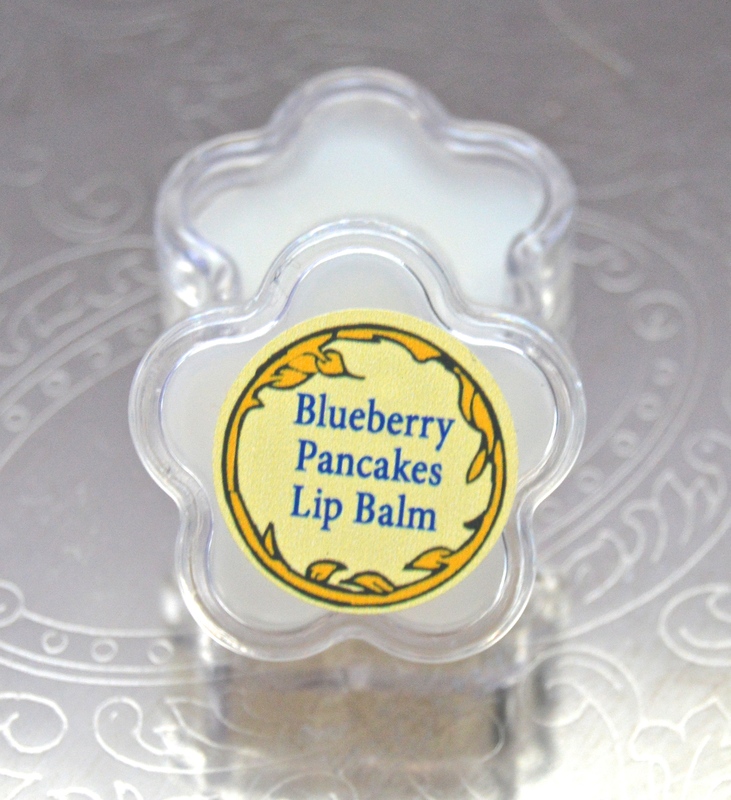 While there are many scents offered by Isabelle and Grey Dove, I chose the blueberry pancakes lip balm and fell in love. The fabulous thing about this particular lip balm, in addition to the wonderful scent and taste, is that it goes on very smooth and doesn’t feel sticky on the lips. I loved using it as a base for my lipstick and then popped a little more in the center of my lips for a bit of shine. These alone are enough for me to have a bath every night. Period. It fizzled and popped just as the title says. Rose happens to be one of my favorite scents and when I came out of the bath, my skin had the most wonderful essence of rose for hours. As tough as it was to pop that amazing cup cake into the water (it looked so amazing, I just wanted to leave it on display) I loved the rich scent it created in the water. Same can be said for the bubble scoops…I felt like I was dropping ice cream scoops into the bath, which was a wonderful thought during the heat of the summer! I hope that you take some time to treat yourself to these beautifully crafted products. Not only are they a fantastic deal (and for all you Americans, the exchange rate certainly works in our favor :-)), but Grey Dove and Isabelle are offering my readers a very special deal of 10% your entire purchase! Simply use coupon code aimee2015. This deal will last until the end of September, and with international shipping offered, it is a great way to pamper yourself or a friend during the last days of summer. And with such great products, a fantastic approach to crafting, and a mutual love of all things vintage, I knew that I wanted to learn more! Grey Dove graciously allowed me the opportunity to interview her….I hope you enjoy! What are your favorite ingredients to use in your beauty products? I love experimenting with different ingredients, and one of the best parts of making beauty products from scratch is the ability to try something new just because it appeals. 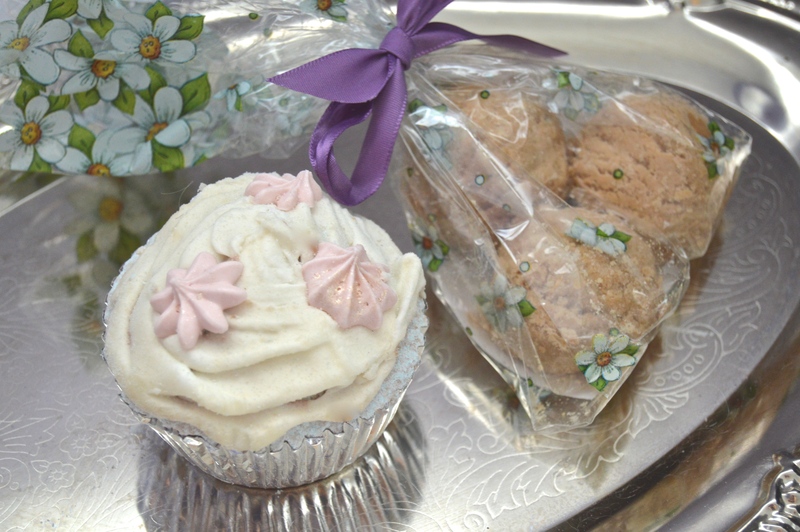 Being able to customize by adding, changing quantities, and removing ingredients in a product recipe is also a treat. In soap making every oil has its own properties and I’d have a shop full if I could buy all the ones that interest me. Finding ones that are affordable while still creating a luxury product were my first goals, and I feel we’ve succeeded in doing this pretty well. 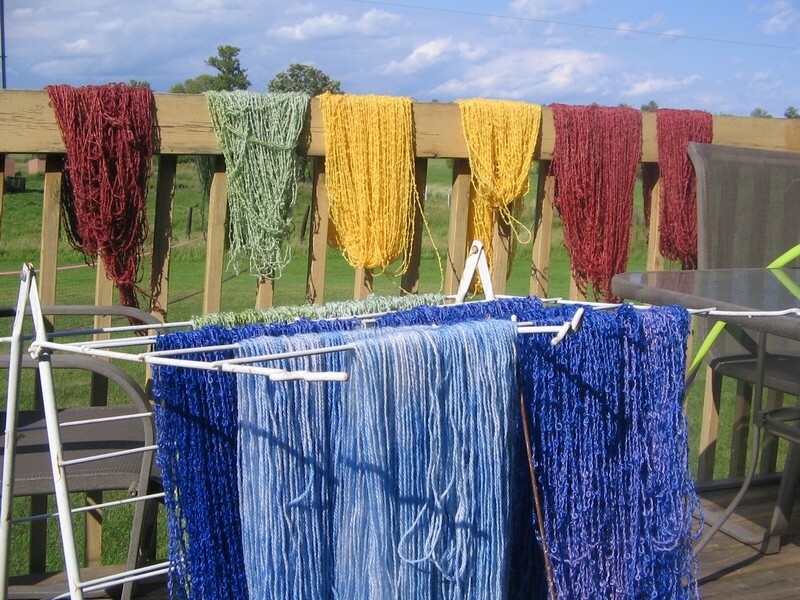 I have always loved crafting, especially “old-fashioned” crafts like spinning (which I haven’t yet, but want to master), weaving and knitting. Learning soap making fell into that category for me. However, the more I learned the more fascinated I became. I also have sensitive skin that reacts badly to a lot of things, and some relatives who have true problem skin along with a ton of other allergies so I began thinking there might be a market for good quality hand-made unscented soap. Unscented did not prove popular, so I started adding essential oils. 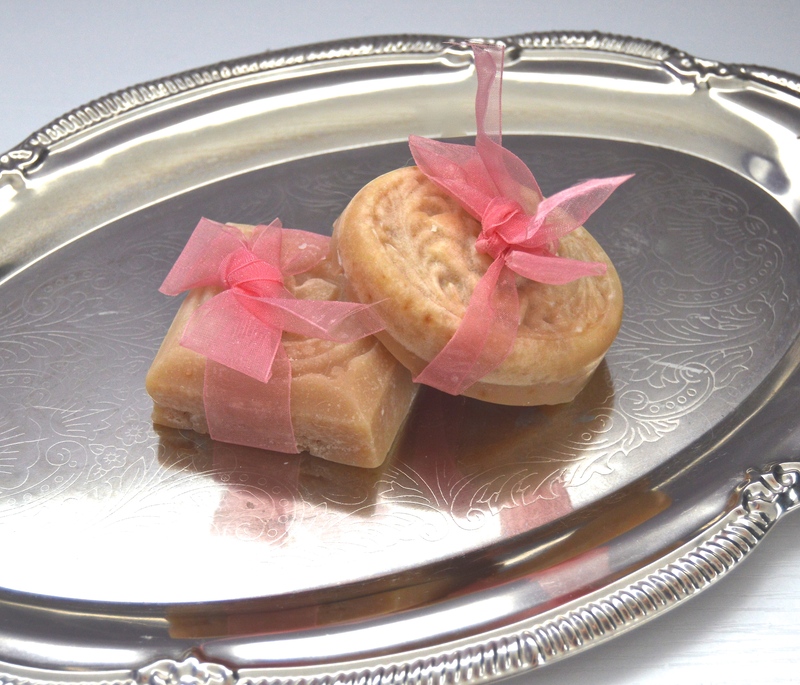 Now I also use high-quality fragrance oils in my soaps and bath products. Although they aren’t all natural they do not have any petroleum by-products in them, and they do offer a much wider variety of aromas to choose from and enjoy. I like ingredients that help me to create products that are gentle, do not dry the skin, and moisturize in a way unlikely to cause problems to people with oilier skin. (Oily skin generally needs moisturizing which makes caring for it very tricky.) My bath candies, solid bubble bath (Bubble Scoops) and fizzies are all made with ingredients that should soften your water, may moisturize (particularly the bath candies) and won’t leave your skin feeling dry. I choose high-quality ingredients that have been processed as little as possible. And of course in our soap we only use farm fresh goat’s milk, which has added a whole new wonderful dimension to the final product! What are three things you would like people to know about you and the items you create? I probably pretty much answered this question in my ramble above. I suppose I’d like people to know that each batch is made by hand. There are and will be slight variations, I do my best to keep them to a minimum but it is the nature of hand-made not to be able to reproduce items identically. I really enjoy most of what I do,and take-care with every product I make. I test most items in person, although Isabelle and her daughters some times help in the product testing department, … Fannie has been a particular help as she is enthusiastic about bath products! Because of my own skin condition issues (I suffered from adult acne for many years, and still can struggle with eczema) and my relatives problems, I always keep possible skin conditions and how each products ingredients may effect people in mind while creating. I recently met someone online who is gluten intolerant and while I was delighted to realize that nothing I make would pose a problem to someone suffering from this difficult illness it did make me conscious of one more way in which to check and double-check my products ingredients. What led you and Isabelle to collaborate? Pure luck and Isabelle combined! We had both put items for sale at a local tourism office. At the time Isabelle was playing with the idea of felting soap. She bought some of the soap I had for sale at the office. It particularly appealed to her because it was all natural. It felted well and she was happy with it. She contacted me and after discussing what she wanted, she placed an order. At the time I was unhappy with the methods I had been using to sell and promote my products so shifting into wholesale suited me. I took a bit of a break at that point. Essentially Isabelle was my only customer so I was busy during her show seasons and had time off in between. Once she switched to goat’s milk, I began experimenting since making soap with milk presents certain challenges. 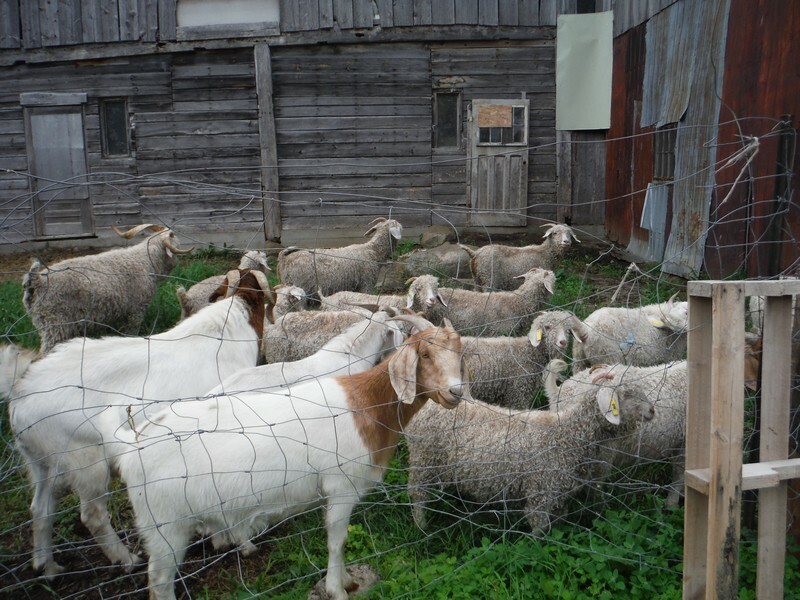 It wasn’t long after we began using goat’s milk in our soap. By this time we thought of them as “our” soap even if “I” make it, and a project she had been talking about for some time actually came to be. Les Belles Bouclettes, an online boutique was born! As the site took shape, Isabelle asked me to look over the bath and body care pages and to help with the text for them. She isn’t a knitter so I offered to check over the yarn pages as well and soon I had begun writing text for the website. With a larger audience and more potential customers to show our products to, I was able to start letting myself play with ingredients and products I had only read about or made for friends and family. We didn’t like the original web host we were with so after a few months Isabelle switched to a different host. The new one had an option for a blog and she was very excited about the idea of doing one. I hadn’t thought of doing a product centred blog before then, … it is and has been an adventure! Always, Aimee, always! Exercising self restraint and not making products is my challenge. Top of my list right now is a fizzy for footpaths. It will have a little oil blended in to the fizzy formula to moisturize the tougher skin on the feet. I also have a dry shampoo I am very pleased with, and soon as we have the packaging, we will be adding it to our product line. In early autumn, we’ll be ready to show you some new soaps, ones made with cucumber and pumpkin (two different soaps), from Isabelle’s garden. And before that we will be pinching a few eggs from her hens to make a special limited edition batch of egg soap! Several different mixes of salts (Epson, Dead Sea, Himalayan Pink to name a few) in bath soaks and formulations are something I’d like to work with soon, and I am really excited about our new solid bubble baths, hoping to do more with the basic idea, … maybe bubbling bath salts? Pumpkin soap! Egg soap! Yes, please!! I can’t wait! I was so intrigued with the uniqueness and the old-fashioned way in which Isabelle and Grey Dove run and care for their farm, I asked them for another interview….and they said yes! Therefore, next month we will take a tour of the farm, learn about daily life caring for such amazing creatures, and more of the story of these two wonderful women. Stay tuned!! Thank you for the charming compliments and the enthusiastic review! Both are greatly appreciated. Such a pleasure to know someone truly enjoys using a product I have crafted! Reading your post was a wonderful treat!